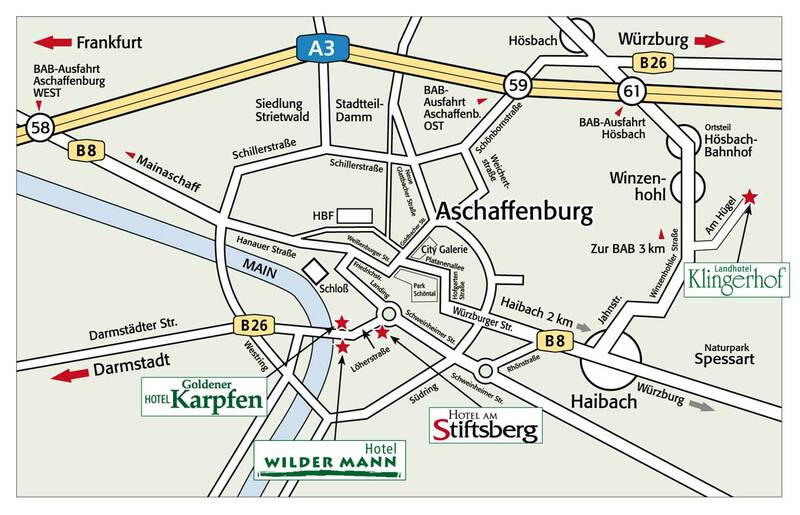 Leave the A3/E5 at the exit Aschaffenburg West and drive now direction to Stockstadt. drive along the motorway B469 to exit Aschaffenburg/Darmstadt. Here you can place a binding reservation by using creditcard to guarantee.